Novosibirsk CHP-5 pauses every five years — last time it was in 2013. The “zero stop” as the engineers, the station is a little over a week from 25 may to 3 June. “It is necessary for a comprehensive examination of the chimney. Any facility should be periodically checked in order that there not arise some unpredictable defects, damages. 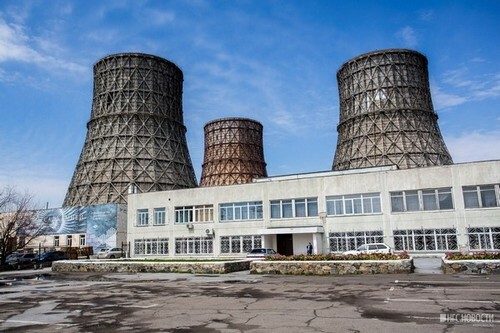 She looks around, if any defects appear, they are repaired, and chimney works on the next five years,” explained Fedor Yefremov, head of production and technical Department of CHPP-5. The station no longer delivers the heat in the apartment — heating season in Novosibirsk over, but the hot water still works out. For residents its warm in hot-water boilers. By the way, no hot water consumers CHP-5 — residents of the October Railway, may day and parts of the Central district will remain at the end of June, when they will start hydraulic tests. Pipe CHP-5 — the most conspicuous and the tallest building in the Novosibirsk region. It began to build in the 1970s. chimney Height — 260 meters, as in the 86-storey building. During the “zero stop” I pay particular attention to: “Her inspect the inside of the trunk, and outside. It is not clear in the tube receives gases that have already been cleaned completely, and the soot and the combustion products remain in the treatment system,” explained Fedor Efremov. Ash is still thrown into the air, but very little that meets all the standards, he said. While the station does not work, engineers inspect and other structures — for example, the cooling tower. It’s three large towers at the side of the chimney, which cools the water. According to engineers, the area of cooling in each cooling tower reaches 3.2 thousand squares. “Pot, for example, need to ensure that we could the energy of fuel is converted into energy of steam. This steam is supplied to the turbine, it turns already the heat energy into rotational energy. The generator transforms the rotational energy into electricity. And when the steam will pass, it is necessary to condense, that is, turn back into the water. To do this it needs to cool. The heated water is fed to the cooling towers, rises to a level of approximately 10 meters and falls in the form of rain, and the air that is fed through the blinds downstairs, it cools the water. With cooling towers, we see the flash steam — heat that we’ve taken from the condensate, we returned into the atmosphere,” explained engineer working principle of cooling towers. Water to the cooling towers allowed on underground pipes, and descend through the channels, where for the past five years has accumulated a lot of silt and dirt. Until the channels are empty, clean, cover seams and cracks. In these channels, by the way, when they managed to swim Novosibirsk — there was no fence. For this, put a fence with a sign “Swimming prohibited.” The water is enticing temperature — about 35 degrees. During a nine-day break, test equipment and assemblies of boiler and turbine departments. In the boiler, by the way, there is a large boiler as you would think. There is a huge system of pipes and pumps. To boiler load, you will need 100 tons of coal per hour, which will provide eight tons of ash at the same time. From the boiler the heated water enters the turbine compartment here heat is converted into energy of rotation mechanical. This starts the generators, which produce electricity. Only CHP-5 six turbines. Inside the tubes, which serves to them the water is a great temperature going up to 545 degrees, and the huge pressure of 130 atmospheres. The energy from the turbine section is served on the step-up transformer. She goes to him on a huge busbars in substation “Eastern”, and from there it is distributed through the city. All branches are controlled from this room. Hence, the drivers load and unload the pots, vary the load, control the work that is happening at the station. They work 24 hours a day, in shifts. Here follow some errors and congestion. CHP-5 has about 500 people. They force her to work 24 hours a day every day. Station stops working for a few days — not less than once in five years, according to a special schedule. If the results of the inspection will allow, the next time the station will suspend in 2023. Otherwise, this period may be reduced. The last time correspondents NGS have been at CHP-5 in the winter a couple of years ago — then they showed coal storage, crusher and chemical plant.